Whenever you’re planning a family vacation, your accommodation is inevitably a sticking point. Everybody enjoys the luxury of a five star hotel or a quaint family run bed and breakfast. Likewise there’s a lot to be said for the benefits of living in the sharing economy. Sometimes using an AirBnB will not only save you a great deal of money but allow you to experience your destination like a local. For some families, however, these are all well and good but they lack the sense of adventure, pioneer spirit and edifying simplicity that comes with spending a night under the stars. 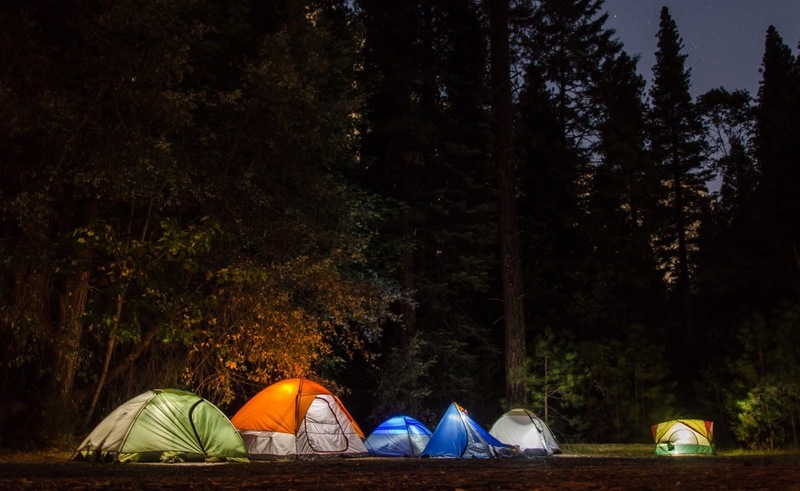 Camping trips have been enjoyed by families for generations because there’s something satisfyingly primal about communing with nature with your family and ridding yourself of the trappings of modern civilization. Studies have shown that not only do people who live close to green and wooded areas enjoy better mental health than their urban counterparts, they also suffer less from obesity. Therefore, a camping trip is the ultimate vacation for families who love to stay fit and active and have a healthy respect for nature. It’s one thing to see the wonders of the natural world in nature documentaries and another altogether to experience it first hand. But in the social media age, we no longer want to just remember our travel memories, we want to record them for posterity and share them with our social following. Fortunately, the modern world has given us amazing tools to help us do exactly that. Just check out these camera binoculars, for example. The next time you see a rare bird feeding its young in the distance or want to observe some bears from a very comfortable distance we can record the wonders of nature to show our families and friends even if they happen a long way away. If you have teen kids in the family, they may not want to hear this but… The correct footwear is essential on a camping trip. Nature doesn’t build in straight lines, nor does she flatten her terrain for human convenience. A sturdy pair of hiking boots are essential for the whole family. They might not look as cool as your Nikes but they can protect your feet from the elements while helping to prevent slips trips and falls which could potentially ruin your trip. If you’re going car camping, by all means pile on the luxurious extras, but if you and your family are looking for a more rugged outdoor experience, pack only the bare essentials. This will allow you to stay mobile and get deeper into nature’s playground. If you’re deep in natural terrain you likely won’t get cell service or 4G so you won’t know quite what the weather has instore for you. Thus, it’s a good idea to dress in layers so that you can be equally prepared for rain or shine without the weather curtailing your plans. You should also remember to eat and drink often to keep up energy and morale, leave only footprints and take only memories!